Description:- Kids will have lots of easy building fun with the Meccano Build and Play Buggy! Assemble the screw with the nut in just a click! Play with your model, and then change it around to create new adventures! 4 models to build Flexible coloured parts Stickers to give the eyes personality70+ plastic parts Tool and building instructions included. 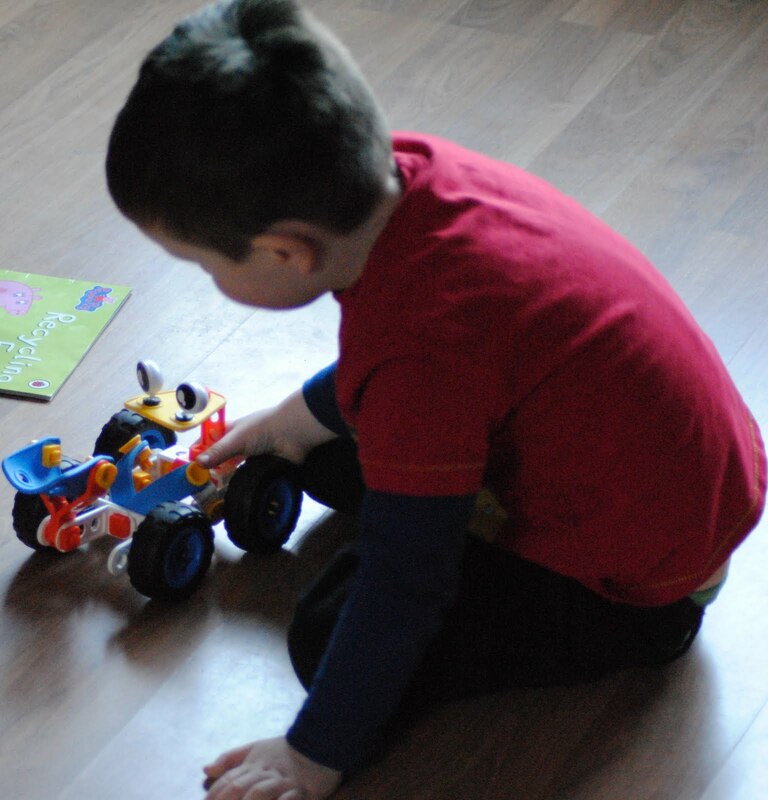 Review:- When the lovely people from Meccano contacted me about testing and reviewing some of their Build and Play products, I couldn’t say anything except “Yes Please”. I loved Meccano as a child, but I always thought it was for older children around 8 + due to the small screws, metal and fiddly parts. It was fantastic and you could build anything with it. So when I found out the did a 5+ range called Build and Play, I couldn’t wait to try it out with my oldest. The first one we built was the Buggy. There are 4 different models you can build with the Buggy kit. We built the one above. We haven’t been allowed to build a different model yet. It was really easy to build, we followed the instructions together, Lucas reading the pictures and getting the parts and I helped build. It even comes with it’s on screw driver. You can select different stickers for the eyes which make the models look very different. This is a great product to bond over a toy, building together. When they are a little older they will be able to build them by himself but for now, we built it together and had great fun doing it. I would highly recommend Meccano’s Build and Play Buggy, excellent sturdy toy which can be changed and played with over and over again. Disclaimer:- We were sent this product for free in exchange for an honest review. Toilet Training - Help! Send Wine!